Sometimes I get the feeling that people think everything we are experiencing today is new. Whether it’s political strife, work problems or even our own internal stress of daily living, there’s a sense of drama. The constant barrage of negative news plays into our fears. The push for automation, AI and constant advancing technology creates a sense of excitement coupled with anxiety. Will robots take over many tasks, will the stock market sink, will jobs be lost, is the climate changing, will there be a war… what will the future hold? All of this is may seem stressful, but is this really new? Are we experiencing something different in the human experience? If you study the ancient philosophers you’ll quickly see that nothing has truly changed. Sure….houses, transportation, food supply methods etc. have all advanced but the core of our existence is still rooted in the same things from two thousand years ago. There were political battles, wars, people running businesses, people getting married, children born, extreme weather, catastrophes, advances in technology, stress and anxiety. It is often comforting to realize that what we are going through today were the similar challenges the others before us faced, overcame and provided some guidance that’s relevant today as it was then. 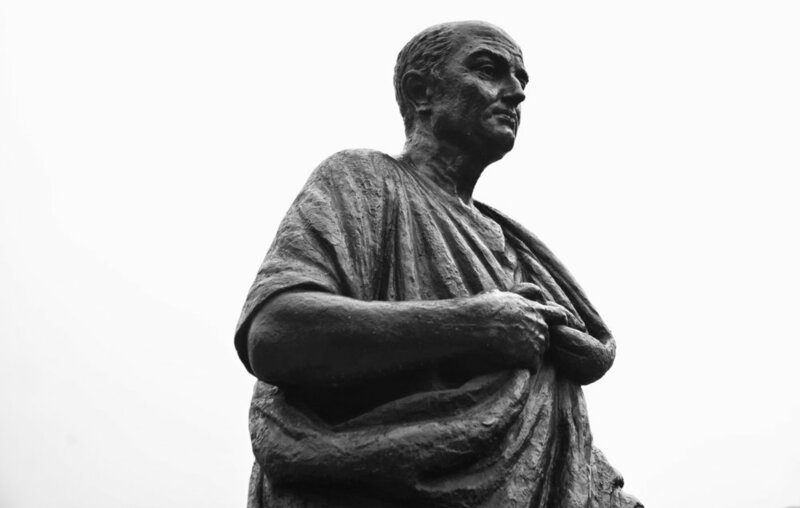 Here’s five great quotes from the Stoic philosophers you should think about. For those of you who don’t know who the Stoics are, here’s a link to get started. Also, here’s one of my favorite sites called the Daily Stoic that is a must read!